GREENGROUND IT - What would it mean to eradicate the mosquito? Paul Orlando has operated startup accelerators on three continents and teaches entrepreneurship and runs the on-campus incubator at the University of Southern California. He writes about unintended consequences and startups. p id=”speakable-summary”>From “blitzscaling” to “move fast and break things,” startups are focused on growth and speed – that’s change at scale. I see that focus in the startups in my accelerators and students in my classes at USC. But something related that we rarely talk seriously about is what happens when that growth, speed, and change affects other parts of an existing system. That’s deemed to be outside of our concern. The business and social effects of change might be more commonly noticed, but today I want to talk about health effects, both positive and negative, that can come from a big and rapid change. One of the preventable diseases that still kills a large number of people is malaria, spread by mosquitoes. Humans have dealt with this disease for centuries. Even in the US, malaria was only eradicated in 1951. As high a toll as malaria takes, the number of annual deaths has decreased a lot. While in 2015 there were 212 million malaria cases and 429,000 deaths, just 20 years earlier the numbers were much higher, with estimates of 300 – 500 million cases with 3 million deaths. The decrease in malaria deaths is multifactorial but mainly came from a few initiatives: the distribution of insecticide-treated bed nets, better medicines that can be taken temporarily, and the reduction of mosquito breeding sites like standing water. While bed nets and medication have helped reduce human suffering and deaths due to malaria, it seems obvious to take the next step and try to eliminate malaria entirely. But since there is still no effective vaccine against the plasmodium parasite spread by mosquitoes plans for eliminating malaria often call for eradication of mosquitos, or specifically the Anopheles gambiae species that carry human malaria strains. This approach — eradication of a targeted species that is the disease vector — is relatively uncommon. Some who question the approach warn against unintended consequences of such an effort. They are right to want to understand the larger effects, so the next questions are how do we make this decision? And are we cruel for not eradicating mosquitoes if we can? 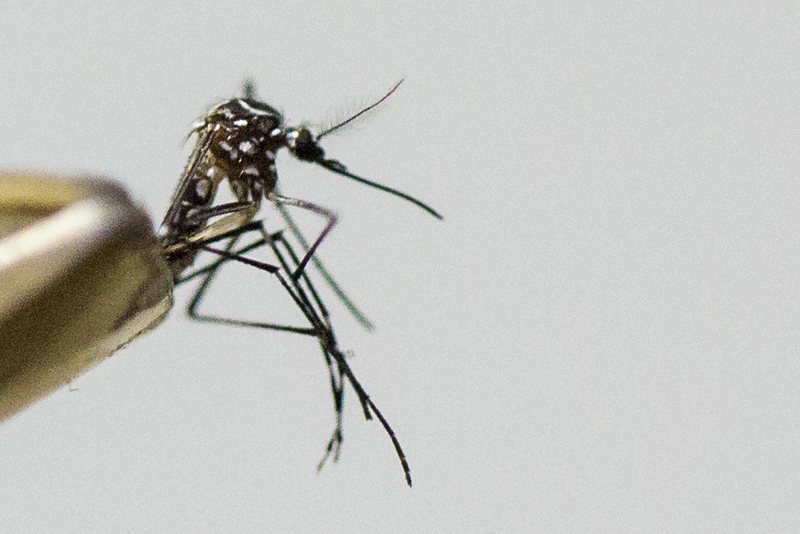 Would this decision be delayed if malaria were still a problem in the US? Do we even have the authority to attempt intentional species eradication? How do we even make these decisions? The comparison that last question usually draws is that of smallpox eradication. When, in 1980, the disease was determined to be eliminated from human populations it was a triumph of decades of vaccinations and swift response to outbreaks. There are several ways to attempt Anopheles gambiae eradication. Since mosquitoes have gained resistance to many classes of insecticides and the plasmodium parasites also have resistance to antimalarial drugs, other methods are used. One way is the release of large numbers of sterilized males. This process was successfully applied to the screw-worm fly in the US in the 1950s. A similar approach could be taken with mosquitoes as well. It’s a temporary solution since even a small number of non-sterilized mosquitoes that manage to mate can rebuild a population. The Debug project has an ongoing trial of this technique with Aedes aegypti mosquitoes that carry Zika, yellow fever, and dengue fever. There is also a program to use CRISPR gene editing to introduce genes for infertility into the mosquito population. The approach taken with smallpox – too vaccinate the disease away – doesn’t work with malaria, at least not yet. Current versions of the vaccine require four separate inoculations spread over weeks. Even then the efficacy rate is around 39%. (And vaccines are a technique that would enable the mosquitoes to continue to bite humans, who are immune from malaria.) So that brings us back to the idea of eliminating mosquitoes. A starting point to evaluate that decision is to take mosquitoes as part of a system that will change if they are eliminated. Taking a whole systems approach isn’t so much delaying a solution as it is trying not to create a new problem by the quick actions mentioned above. The other side of the equation is that malaria-carrying mosquito species are not large sources of food for other animals. The non-biting males are among the many insects that pollinate different types of plants, but are only major pollinators of one type of orchid. Note also that biologist E. O. Wilson is in favor of mosquito eradication. But if malaria-carrying mosquito eradication happens, there are other potential negative outcomes. At least one of them could affect more than the current number of people dying from malaria today. People change their habits. Without mosquitoes keeping the human population away from prime mosquito habitats like swamps and rain forests, more people may move to these areas. People may then push out other animals and prepare unoccupied lands for logging and farming. Also, people may hunt and eat more “bush meat,” a source of other cross-species diseases, including Ebola and AIDS. Stating the potential negatives of eliminating malaria is easy outside of a malaria infected area. Could we make an attempt at estimating potential deaths from both options?